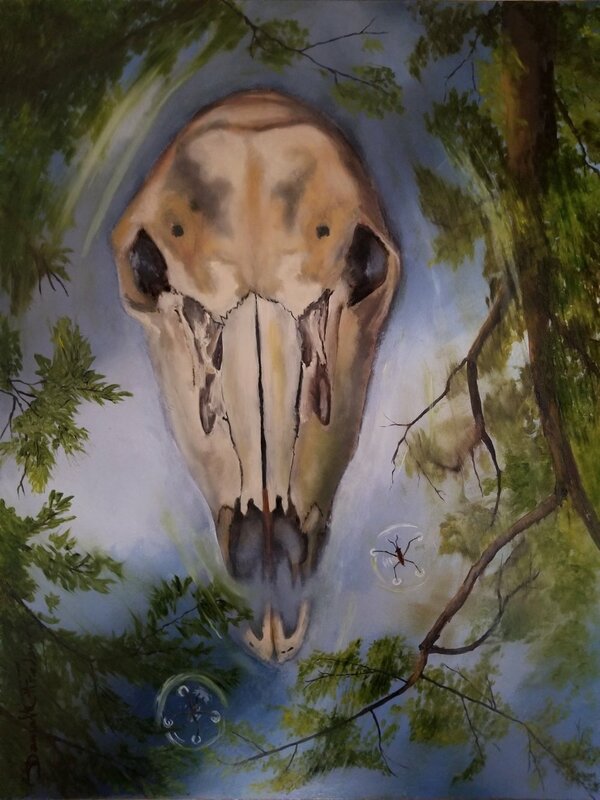 The "Miraculous Swamp" series is a collection of paintings of the environment where I grew up in back in my hometown of Quakertown, Pennsylvania. I want to show the viewer that swamps are a place of beauty & biodiversity. I feel that these valuable environments of the swamp & surrounding areas are slowly being polluted & destroyed by sprawling housing developments and poachers. I wish to convey environmental preservation through these works.